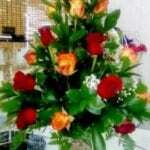 24 roses of different colors, arranged in an elegant vase. Free delivery available. 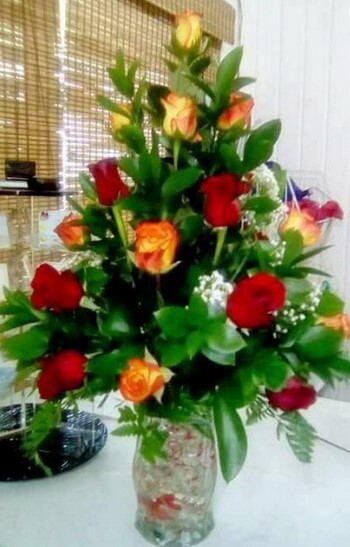 Fresh roses of multiple colors, arranged in an elegant vase.